Scientists have found a tiny fragment of rock which was marked with intersecting lines of red ochre pigment some 73,000 years ago. The discovery is the oldest-known example of drawing by humans, the scientists said. 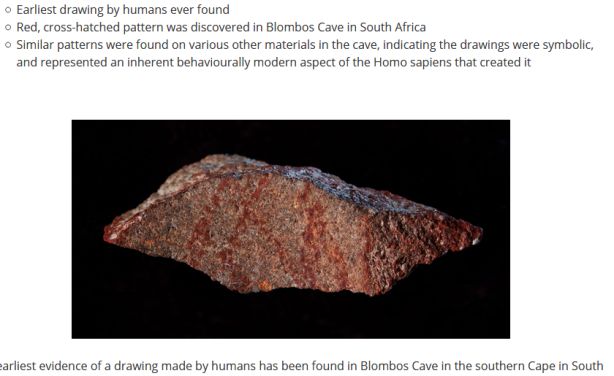 The abstract design, vaguely resembling a hashtag, was found in Blombos Cave on the southern coast of South Africa.